The international court ruling that HTC has infringed on Apple’s patents has brought Apple and Android to an important crossroad that will likely impact the mobile segment for a long time. Companies involved in mobile tech turn to patents to protect research and innovation from being used by competitors. Getting intellectual property (IP) protected is a major effort by all companies, not only to protect its own IP but to keep from getting challenged by competitors as is happening regularly. Apple and HTC are going head-to-head currently over patent infringement, and the former has won its first victory in court where it has been determined that HTC has improperly used Apple’s IP in some of its Android smartphones. This has brought Apple and Android to an important crossroad that will likely impact the mobile segment for a long time. HTC has stated it is willing to negotiate with Apple over the patents under litigation. That’s not surprising, as companies are always willing to avoid legal battles when it makes financial sense to do so. HTC is in a very vulnerable position having a court already ruled against it, so it must count on negotiating a license agreement with Apple to keep producing Android phones. What isn’t clear is what Apple’s response to HTC will be regarding such a license deal. HTC recently announced it was buying graphics company S3. This was in no doubt due to the legal situation with Apple, as S3 has won infringement suits against Apple. HTC probably hopes to trade IP licenses with Apple to make the infringement decisions against both sides go away. Apple hasn’t acknowledged this situation yet, and probably can’t until HTC closes the deal to buy S3. Apple is not in the business of licensing its technology, and the company is in such a strong financial position there is really no reason for it to do so. HTC is probably ready to hand over a billion dollars or so to make the Apple situation go away, but this money won’t really impact Apple’s core business. There is a mistaken belief that companies like Apple must license their patented technology to competitors, but that’s not the case. Apple could simply tell HTC no deal, and get injunctions to stop them from producing any Android devices in the future. I can envision Steve Jobs appearing on camera for a simple statement in reaction to the outcry that would happen should Apple refuse to deal with HTC. He might point out that Apple is not in the business of licensing its technology, it builds things. Things based on technology it develops, and it recommends that HTC and others do the same. If Apple puts HTC out of the Android device business, its next order would likely be to go after Samsung. Samsung is coming on strong in the mobile segment, due primarily to its Android business. Apple laid the groundwork to go after Samsung with the current suits for copying design, and the next step will be to file infringement suits for the same Android technology it has successfully defended in court against HTC. That would almost be a slam-dunk. That would pave the way to stop Samsung from selling Android devices since the infringed technology is actually part of Android. 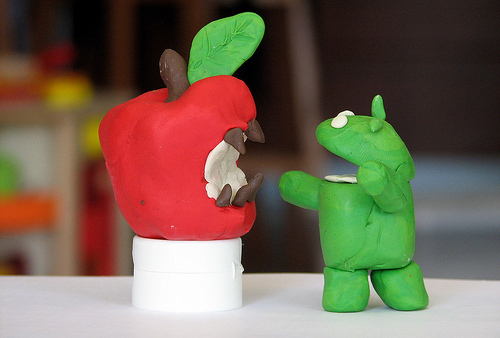 With the top two Android device makers out of play, the platform would be in serious trouble. That is when Apple might finally go directly after Google for developing the infringing Android platform. However this shakes out it is going to be a bumpy ride for Android device makers. Apple was brilliant to go after them and not Google, as it keeps the platform under a dark cloud for a longer period. It is not certain that Apple will ultimately win all legal battles against Android, but the ruling against HTC gives it a great start.